The standards of medicine and surgery in Spain are good. As with the UK and ROI there are two systems. One is private, the other run by the State. State medicine seems to be very good, with many ex-pats attesting to the skill of Spanish doctors and the care given by Spanish Nurses. The decision to leave your own country to take up life in another may well involve several gambles but when it comes to looking after your health, there can be nothing left to chance. If children are involved this is even more the case. 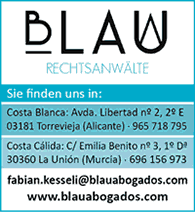 Can you safely and confidently leave the health care you have in your own country to take up a new life in Spain? The answer is both yes and no and depending upon where you wish to live. Where and when it is good, the quality of Spanish health care and facilities available to patients probably equals anywhere in Europe and betters most. However, standards across the country vary considerably, with public medicine being scant in some inland areas. A point to consider carefully is, if you have children or an ongoing medical problem. The Spanish are among the world's healthiest people and have an average life expectancy of 80 for women and 74 for men, the highest in the EU. The incidence of heart disease in Spain is among the lowest in the world, a fact attributed to the Spanish diet which includes considerable quantities of garlic, olive oil and red wine. Recently, this figure has started to rise and is believed to be as a result of the increasing popularity of "foods to go" such as hamburgers and other foods with high fat content. Social Security Service: There are several ways in which you may be entitled to benefits from Spain's Social Security Service. The first and indisputable is if you contribute to the country's system of social security. To be able to do this you need to be working either as an employee or on a self-employed basis. If you are an EU national, retired and in receipt of a state pension you are fully covered for all aspects of health care in Spain including totally free drugs and medications. If you are not entitled to benefits from the Spanish Social Security System you must have private insurance and will have to present proof of this when applying for a residence card. An E111 or insurance cover note will not sufficient. If you have made regular payments by way of Social Security contributions in your own country for the two years prior to moving to Spain, then you will be entitled to public health cover for a limited period from the date of your last contribution. In the UK, full information can be obtained from the DHSS in Newcastle, who have always proved most helpful in regard to this matter. Medical Services: Public health benefits include general and specialist medical care, hospitalisation, subsidised drugs, dressings and medicines, basic dental care but excluding cosmetic dentistry, maternity care, appliances and transportation. Whilst both general and specialist medical treatment are free, patients must pay a percentage of the cost of certain items such as drugs and medicines although these are without charge if you are retired. Contributions are considerably less than those required in the UK. If you are currently taking regular medication or undergoing a course of ongoing treatment, you should ask your current doctor to provide "notes from file" which will consist of your condensed medical history. You can give this, or better still, a copy to the doctor you select following your arrival in Spain. If you have it translated into Spanish so much the better but if you can't arrange this, he certainly will be able to. In any event, if you don't speak Spanish you will probably find a doctor who speaks English so the need will probably not arise. If you elect private health insurance you can select any doctor and be seen at most times convenient to yourself. This obviates the necessity to register with any particular doctor, leaving you free to visit who you want and importantly, obtain a second opinion easily should you feel it necessary. 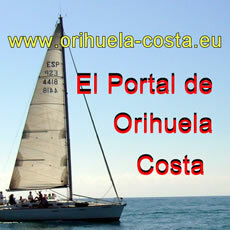 If you already speak some Spanish, we would recommend you to visit the website of the Comunidad Valencia. On this page you can get more information about the medical services in Spain. The "Department of Health" you will find under the menu "Consellerias" following "Necesito ir al médico". In Spain, all cities and large towns have at least one hospital or clinic. In most resort areas these are modern and equipped to international standards. Staffs are highly trained and abundant to such a degree that two years ago the UK Health Service concluded a deal with the Spanish authorities for the supply of trained nurses for British Hospitals. If your interest lies in inland Spain, you should be aware that hospital facilities in some rural areas may be poor. In these areas, although the situation is slowly changing, there can still be long waiting lists and equipping of some hospitals which leaves a little to be desired. The building of more hospitals and reduction of waiting lists - wherever they are, remains a priority for the Spanish Government. However, if you want all singing all dancing health care, then this is available through any of the private medical insurers. Medical insurance in Spain is remarkably cheap when compared to the UK and even more so if you shop carefully and tailor a policy to your own particular needs. Do you want to visit the websites of the "Instituto Nacional de la Salud"? Or, do you want to know more about the Spanish Department of Health and Alimentation? Then click on the graphics! Finally we like to say that regardless of whether your medical cover is from the Spanish state or obtained privately by way of an insurance policy, medical standards in Spain are generally quite high and in most large cities and resort areas, waiting times are relatively short.